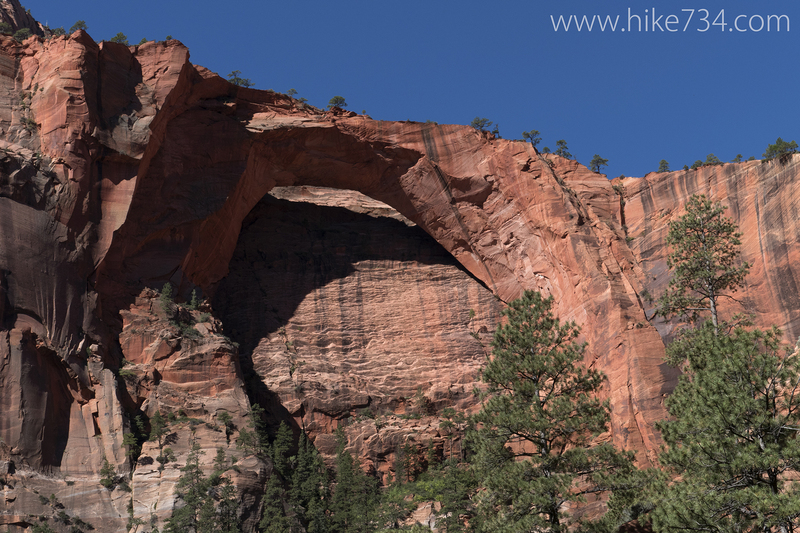 Zion National Park is home to one of the largest free-standing arches in the world, Kolob Arch. This arch is reached via a long day hike. Starting out at Lee Pass in the Kolob Canyons area, you pass through juniper and oak brush with the incredible backdrop of the red mountains and cliffs of Kolob Canyons. 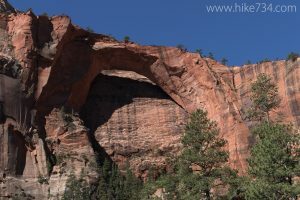 At 6.4 miles from Lee Pass, and after passing backcountry sites 4 through 9, you’ll come to the 0.6 mile spur trail to the Kolob Arch viewpoint. 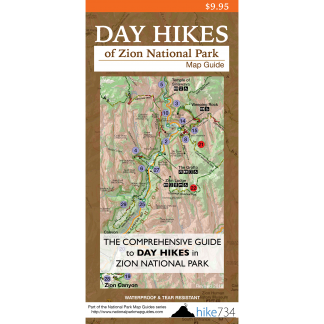 The trail is a bit tricky to navigate as you cross and follow a little stream with some spots that involve more scrambling than hiking. You’ll finally get to a signpost indicating the end of the trail and you can look up and admire this impressive arch.